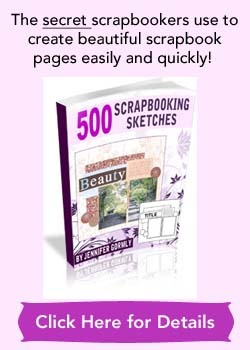 This is an inspiring scrapbooking idea. It’ll get you to reflect upon three qualities you believe you’ll like to cultivate. It could already be qualities you have within you, but you’ll like to strengthen them. It could be traits you feel could really make a difference in your life if only you could manifest them in your daily life. There’s always time for you to cultivate or embrace a new tendency. But it’s only when you slow down for awhile, think about what you want, that there’s a greater chance you could cultivate that quality. Awareness brings you in alignment with your desired qualities. For me, I’ve chosen courage, wisdom and persistence as qualities that I’ll like to polish upon. I realized time and again, these 3 important qualities stood out as I made decisions or faced obstacles in my life. I’ve also chosen a photo of a pile of beautiful, smooth stones. It’s a reminder to me that as a human being, we possess innate capabilities in the raw form. It takes time and effort to polish ourselves to reveal the smoothness and brilliance underneath. 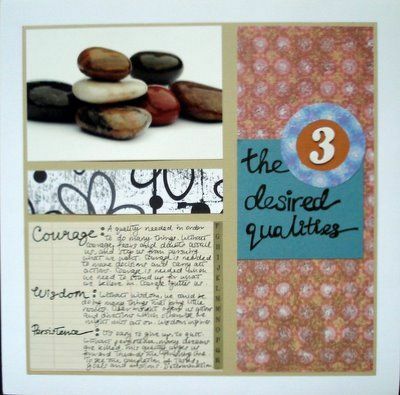 Have fun coming up with your three desired qualities! 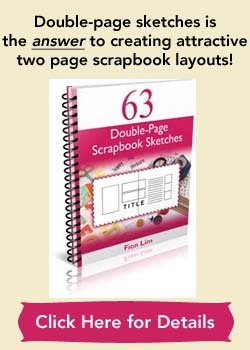 For more scrapbook page ideas, do browse through this site for more! Supplies used: Cardstocks – Bazzill Basics; Patterned papers – Brenda Pinnick Designs “Paper Confections”, Junkitz “Basics Paperz – Basics Floral White”; Journal paper – Making Memories “Ledger Combo”; Black ink – Versa Color; Number sticker – American Crafts “Thickers – Darling Chipboard Letter Stickers”; Black pens – Zig Memory System “Millennium”. Photo Credits: Stones by Gastonmaq from Stock.xchng.